RepliCade recreates a Centipede arcade cabinet at 1/6 scale. I’ve pretty much stopped writing about Kickstarter projects here in 2017, but occasionally there’s still something incredible over there. Case in point: RepliCade, a campaign by New Wave Toys to make 1/6 scale arcade cabinets with fully functioning controls. Insert the usual Kickstarter disclaimers and so on, but I had the chance to go hands-on with a prototype recently and was impressed. 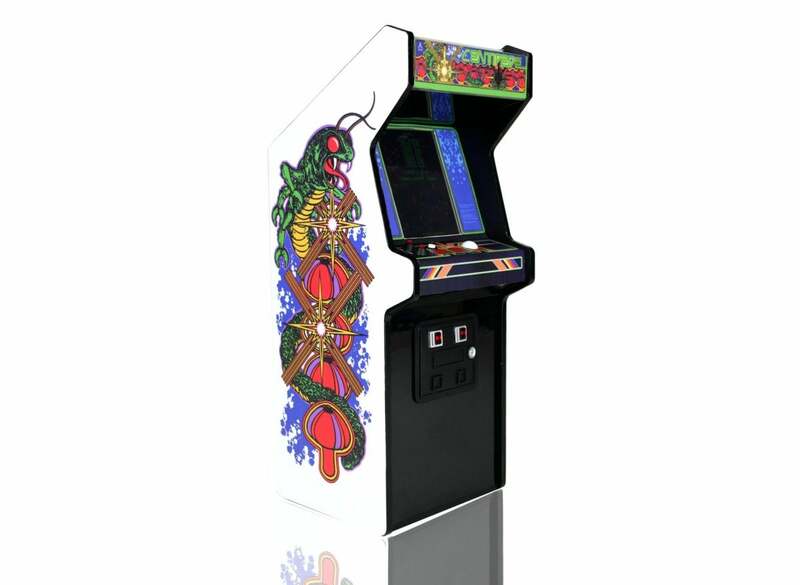 Centipede is the first game to get the RepliCade treatment, with the cabinet and ROM file officially licensed from Atari. The cabinet is 11.8 inches tall, made primarily from wood and with all the marquis and side art faithfully reproduced. The marquis also lights up, and there’s a metal coin door (though unfortunately it’s too small to, you know, insert coins into). The ROM itself is housed on a custom chipset, powered by a built-in rechargeable battery, and emulated to a 3.5-inch LCD screen. You play games with a scale-model trackball and button, with two additional buttons for one- or two-player modes. The trackball was the bit I was most impressed with—it’s maybe a half-inch in diameter at most, but still eminently usable. You might not hit your old high scores on this thing, but it’s a great display piece. Price will likely be the one sticking point for most people. At $160, these mini-cabinets do not come cheap. On the other hand, as someone who’s been through the Kickstarter wringer a few times, the high price is actually reassuring to me—it tells me New Wave knows exactly what to charge in order to get these things out the door and stay sustainable going forward. And hey, the campaign’s already tripled its goal, so the price isn’t a sticking point for too many people. There are plans for a Tempest cabinet next with a miniature flywheel, which should be interesting. All in all it’s one of the only projects that’s caught my eye on Kickstarter recently—I don’t have the space for a full-size arcade in my apartment, but maybe 1/6 size will do. Fingers crossed for Joust.